Starting off a new year brings both new experiences and a checklist of goals that we look forward to achieve. Determination, dedication and hard work can make your dreams come true. weDevs is proof of that. We started as a startup back in 2012 with a goal to be “The WordPress Brand”. Within seven years we have made a strong position in the WordPress community. We are not “The Brand” yet. But we hope to get there shortly. Before we talk about our growth, success and customer happiness of 2018, let's talk about an event that is really special & close to our heart. 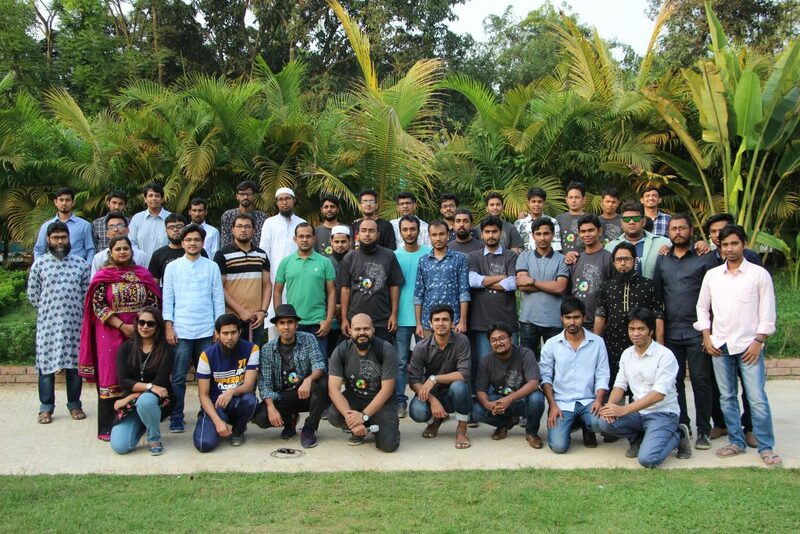 Just like the previous year, this year on the 18th of March, we celebrated our 6th birthday of weDevs in a grand style with all the family members of our team. This family day got our team to bond better passing a great time with each others family members. 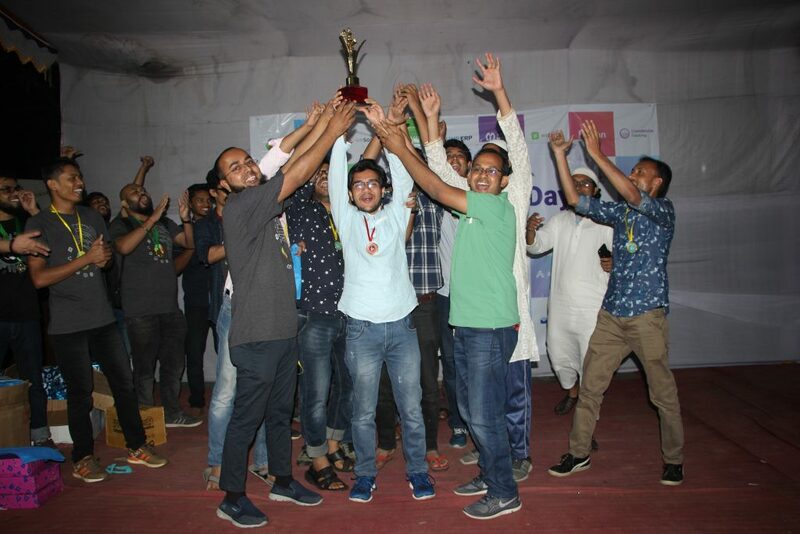 Truly a momentous occasion it was, that got unfolded with exciting games, events & other fun-filled activities with each passing time of the day. 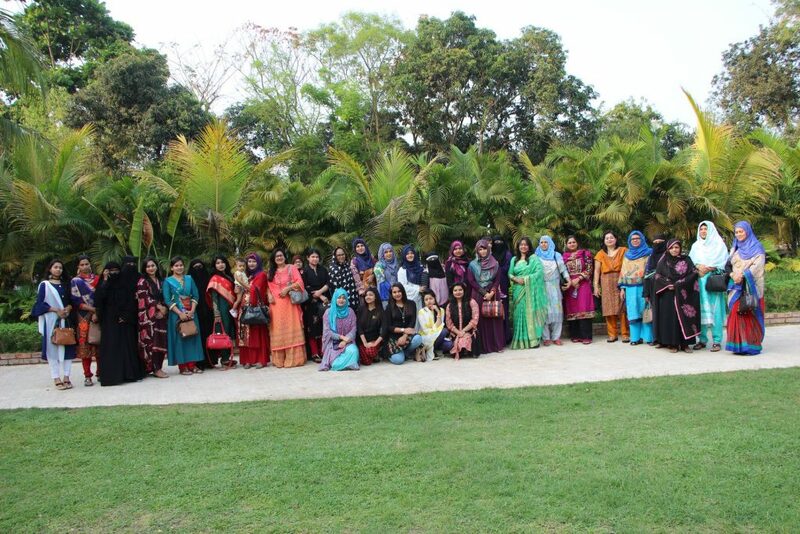 Our team introduced their family members and themselves to everyone on this grand occasion. 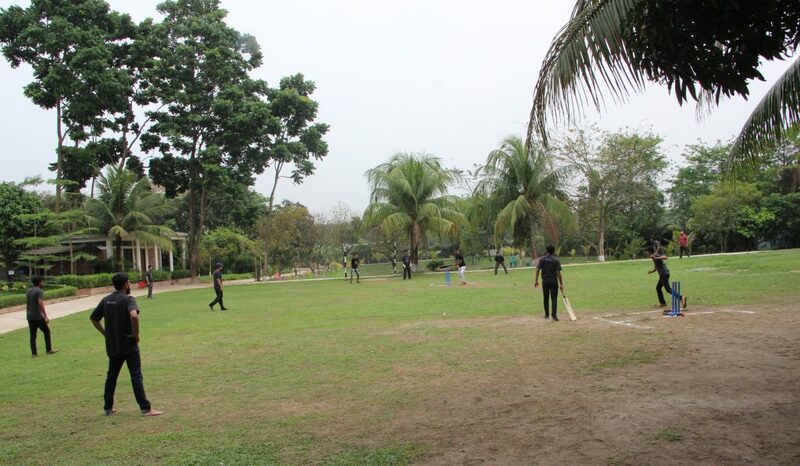 We passed quite an eventful day starting with a competitive Cricket match among weDevs team members. 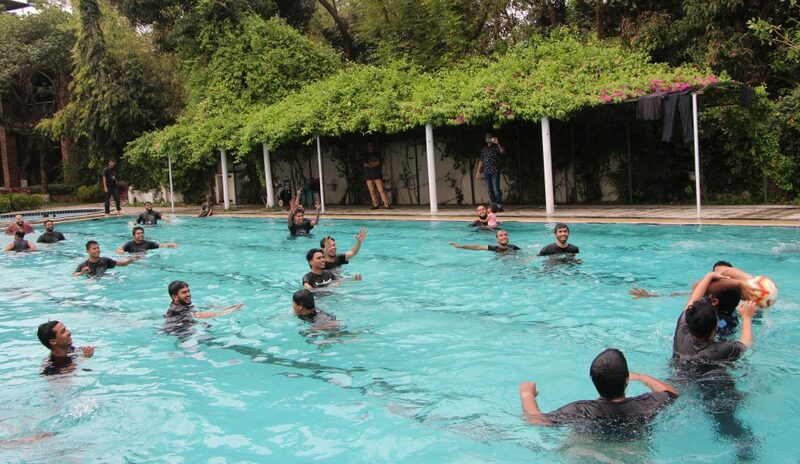 The kids, families and the whole team of weDevs swam around & enjoyed themselves playing games at the pool. In the afternoon, a number of interesting games were arranged for our parents, other family members, kids and the whole weDevs team. The remarkable day ended with the raffle draw results and prize giving ceremony. And No, we didn't disappoint anyone as there were gifts for everyone who attended this joyful event. We have introduced weFamily day last year with the intention of spending an ecstatic day with all our loved ones. 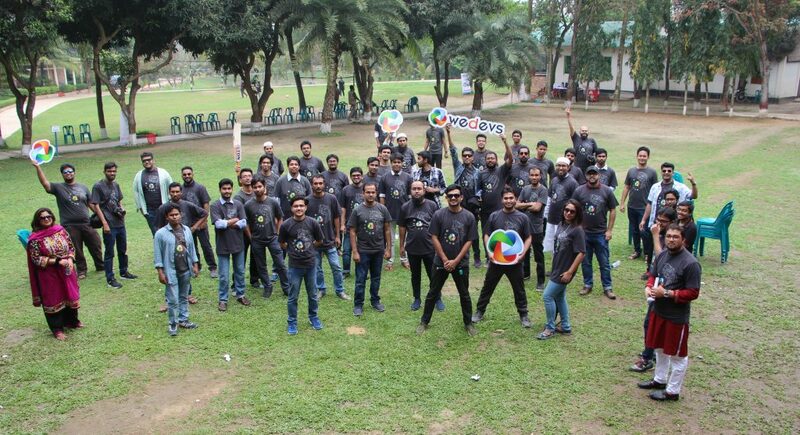 A total number of 80 people attended the 5th anniversary of weDevs on weFamily Day 2018. 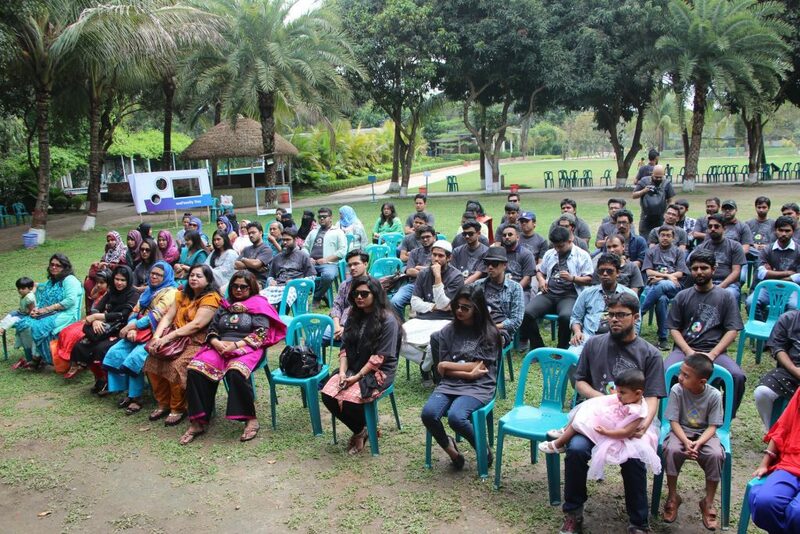 This year on our 6th year anniversary, the number doubled and around 140+ people were present to celebrate the event including our 55+ team members. Coincidently, 18th of March is also the Birthday our Founder Tareq Hasan. So it was a double celebration for all of us. And from now on, weDevs promises to commemorate this day with all of our family members with the same enthusiasm and excitement every year. To create something great you must start from scratch. weDevs is just an example of that. During University days in 2008, Tareq Hasan and Md. Nizam Uddin, who had nothing but passion in them used to run a blogging site. Now they run a company of 60+ people. If we look back, it was in 2017 when the company moved to a bigger office with 25 employees. After 2012, it was in 2017 they were able to appoint experts in each sector. 100% employee growth in two years indicates the scalability of weDevs. We always love to share our journey, experiences we had, experiments, additions we brought in the system with the customers. This takes us closer to our audience and we feel more connected this way. We already shared new strategies we adopted last year in different sectors like content marketing, support, development. But we didn't talk about our office environment yet. First thing is, we work as a family in here and we always use the term “weFamily” while addressing issues in our meetings. This probably explains why weDevs Glassdoor rating is 4.9/5. Our in general growth is 90% at the moment. Another evidence of a company being family is we introduced “Profit Share” policy from this year. Whatever profit weDevs makes is the result of the employee's hard work. So all of them will get a share of the overall profit that we made in 2018. Whenever we meet a certain goal, we go for an outing. The annual trip is the center of attraction for all of us. From this year our members will get leave for marriage. Besides two festive bonus, our members will get a certain amount of bonus for marriage. New mothers will get paid maternal leave as well as new fathers will get paternity leave. This leave is still not a popular practice here. From now on, the facility of “provident fund” and “gratuity” will be available for them who wants to enjoy that. This is the place where we can not but brag ourselves all the time. And you know what? We do not believe in the peripheries. 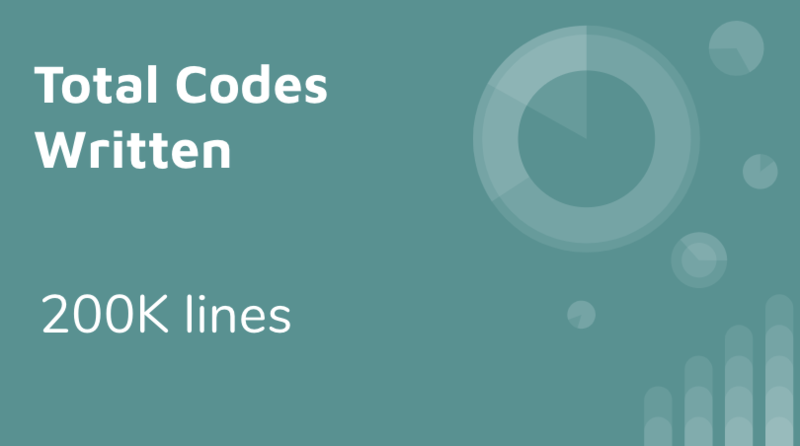 The reason is simple – We have added an astounding 200,000 lines of code. It truly broke all the former records done in a single year. We are quite accustomed to reaching new heights. Because we have released our free and pro plugins for a whopping 148 times. That’s more than 200% growth over the last year’s (2017) total release. That’s not the end! We knew, hiring the right kind of programmers and system analysts would be a cog in the machine for our company. Apart from the business team, content team, marketing team, and design team, our development team is also rapidly growing. Back in 2017, we only had 7 developers in our team but in 2018 this number has increased to 20+. So, compared to 2017 the number of developers that we have hired is in around 300% growth mark in the year 2018. Frankly, we do encourage our developers to learn new things for personal development. To this end, we have kept a margin of 30% in the KPIs in learning new stuff like frameworks, libraries and so much more on their particular programming languages. All the developers, here, constantly try to improve and push themselves to the limit. Finally, 2018 was an amazing year for us and we did exactly what we dreamed of. Technical support is the most significant part of the software industry. At weDevs, we ensure real-time care about what our customers need and want. Since we are a WordPress product development and selling-company, customer support and satisfaction is our first priority. We are proudly announcing that we are experienced a great year of our customers’ happiness in 2018. Our support team achieved a remarkable growth ensuring on-time problem-solving. We are happy because our customers are happy. This is how we are trying to take our company- weDevs to the next level. 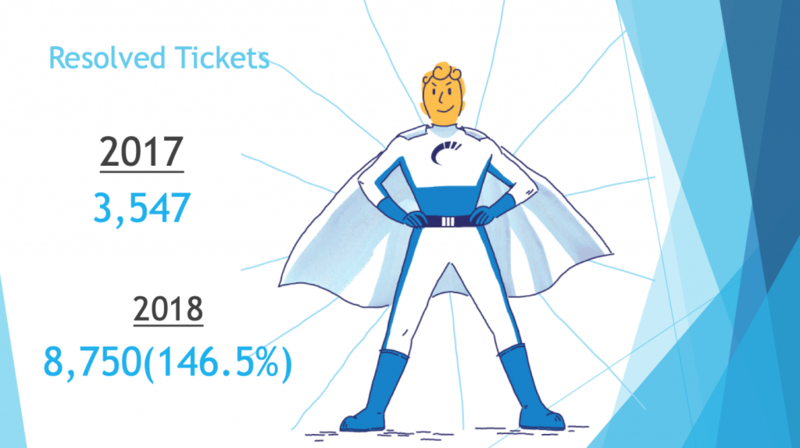 Take a look at what our support team has done in 2018. Isn’t it great regarding only a year? We try to make our customers happy providing real-time support in all the aspects. But nothing would matter if these don’t meet our customers need. Check out what our customers say! Not only that, we got the same appreciation and love from a huge number of our beloved customers. We got 200+ 5 star reviews only in 2018! We have touched the great milestone in our increasing growth in 2018. 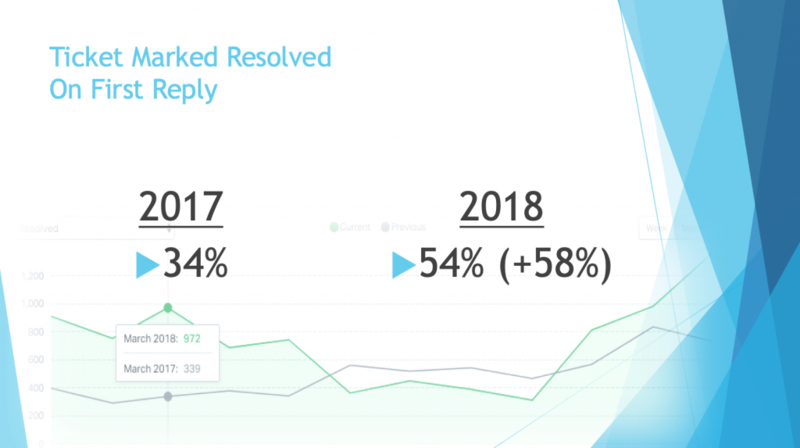 Our support team’s overall growth was almost double regarding 2017. Check out some of our states in the following screenshots. 1. Tickets marked resolved in the last two years. 2. The growth rate was over 146%! 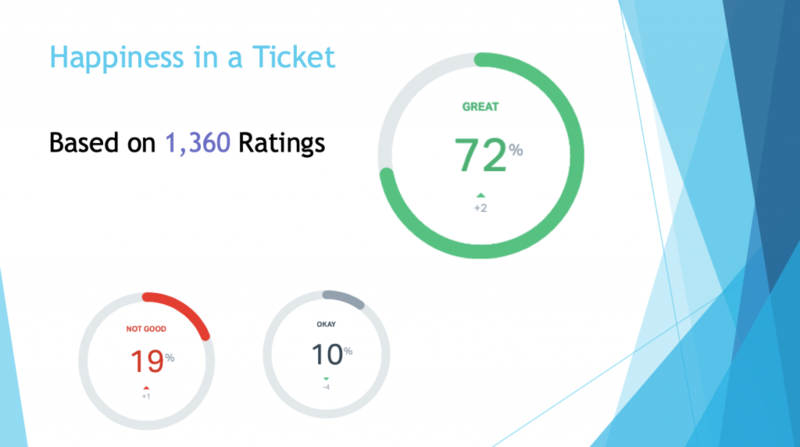 We also resolved more than 58% tickets directly on the first reply. 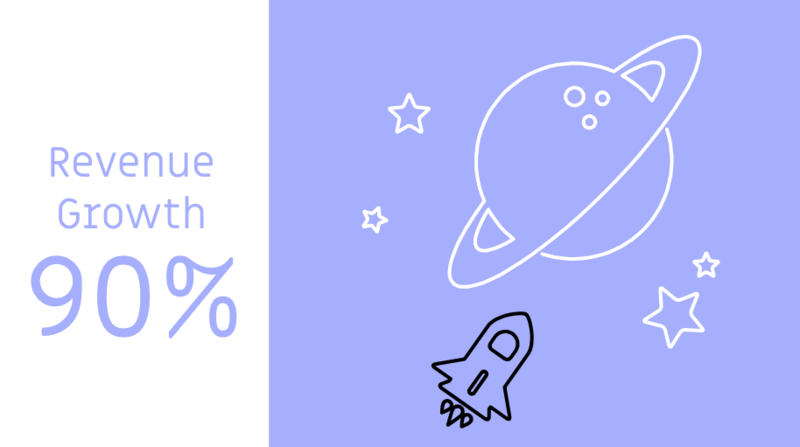 Not only that, but we also resolved almost 1000 WordPress Tickets last year. And got more than 210 5 star reviews for all our plugins. 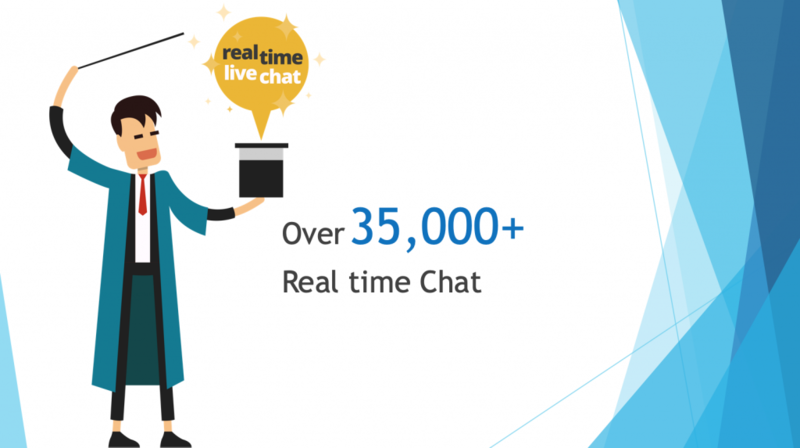 Finally, we started live chat support in 2018 and we had to reply to 35,000+ live chat queries in total. Do all these really matter? We believe customers are the queen. So we prefer what our customers need all the time. Not only responding, but we are also working with timely support at any moment of the day or night. For the first time, we started 24/7 support in 2018. And we are happy making it possible for our beloved customers. Customer satisfaction isn’t only important, it works as a key to success for any business. If customers aren’t happy, it’s simply impossible to go ahead in this competitive era of business. At weDevs, we treat customers like our family. So that you can easily understand our dedication towards our beloved customers. Stay with us, we offer great products with the state of the art and ensure real-time support. After the end of 2017, we shared with you how weDevs is reshaping its content and marketing strategy. In the process of executing that strategy, we have become a bigger team of 14 members now. Where at the end of 2017, we were a team of 6. We have started sessions like knowledge sharing, growth hacking regularly. These sessions are helping us become more confident, more creative, more proactive. And most importantly, these are helping us to develop the sharing mentality which is crucial for a team to thrive. Whenever we start talking about Online Marketing, a popular quote is bound to pop-up in mind – “Content is king”. The quote itself implies the importance of content marketing. Since weDevs works with digital products, content marketing is the soul of our marketing strategy. But we always have believed in the motto “We don't create content for sale”. We try to create value for our audience with it. This motto of ours and the love we get back from you, keep us working, motivate us to create more valuable contents for you. 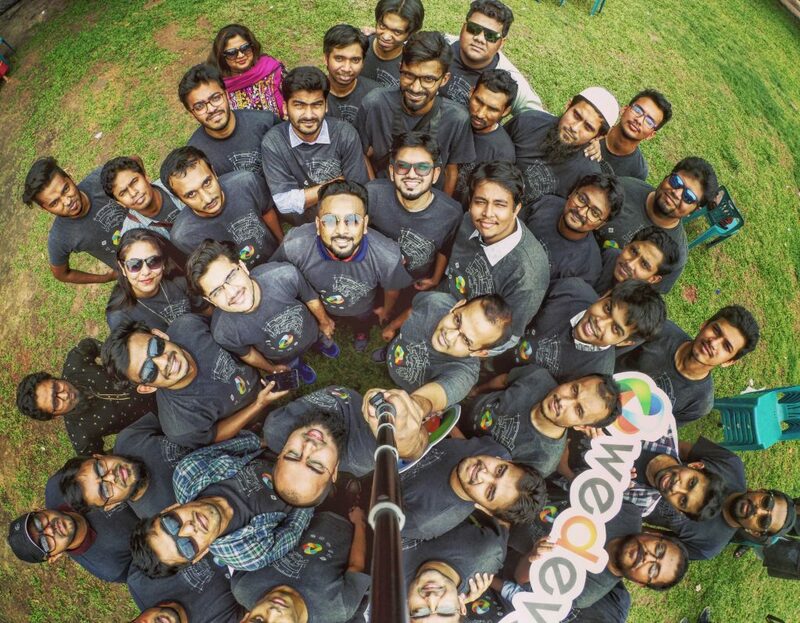 Continuous assessment and development have always been the focus of our weDevs team. To thrive consistently, there’s no alternative to that. We know and believe that. Now, like the other years, we’re feeling compelled to share our data-driven assessment with you. And when it’s data-driven, let the numbers do the talking. First of all, the number of articles can be mentioned. 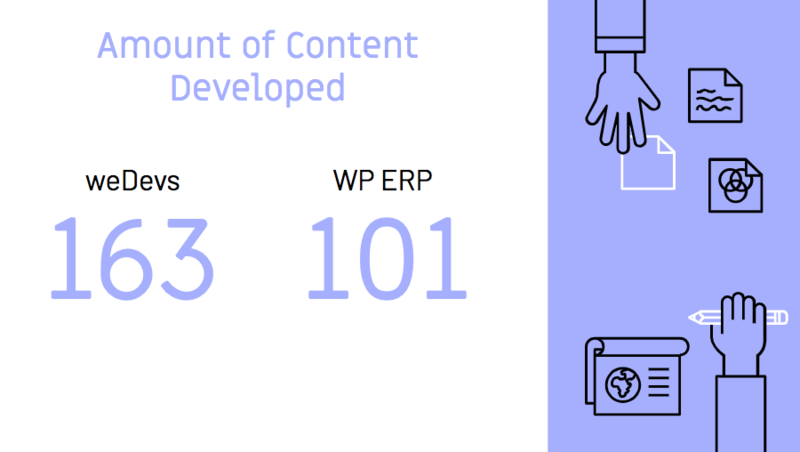 Throughout the year 2018, we have successfully created and published 163 well-researched articles for the weDevs blog and 101 for the WP ERP. Kudos to the content developers! We all know that content isn’t only about articles, it also includes designing, idea generating, sharing, implementing, and so on. Let’s have a look at the contributions of our designing team. Shall we? 67+ landing page design, 660+ banner design, and 916+ animations, email templates, illustrations, presentation designs – all have been possible thanks to their hard work. With you and with the increased number of unique visitors as well, over the year 2018, we saw a 40.06% increase in the traffic on our site. That means we met 140% more visitors than that of the previous year’s! Isn’t that amazing? Now, you may be wondering about the number of users of our site. Well, the growth rate, in this case, is even better! 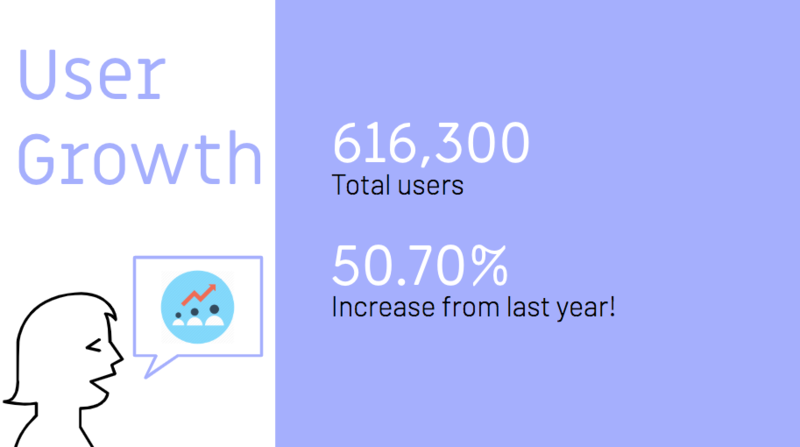 Compared to the user count of 2017, we have got 150.70% growth in 2018. With all these traffic and the constant effort of every member of our team, no doubt our website is improving daily. The Alexa ranking clocked on the last day of the last year was 47,775. Which means 63.30% leap in the ranking. Growth was not only achieved in the downloads, but also in the active installation count. If we take the active installation number of 2017 into account, we’ll have to say with 178% active installations, 2018 was a huge year for us. As anticipated, all these achievements resulted in more revenue. In 2018, weDevs earned 90% more revenue. 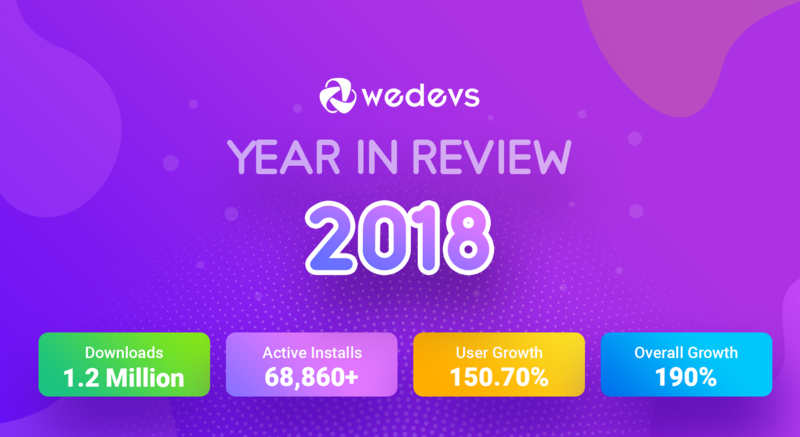 The year 2018 has been the most fruitful year for weDevs in terms of business growth, customer satisfaction and conversion rate. To our greatest joy, the number of downloads surpassed the milestone of million this year. Our products achieved 1.2 million downloads in 2018. This was possible not just due to the energy of any particular team or person. We achieved such a milestone due to the collective effort of our whole weDevs team. So we dedicate this success to each one of our hardworking representatives be it our awesome, support, developing, marketing or the content team. Why weDevs year in review being published in March? 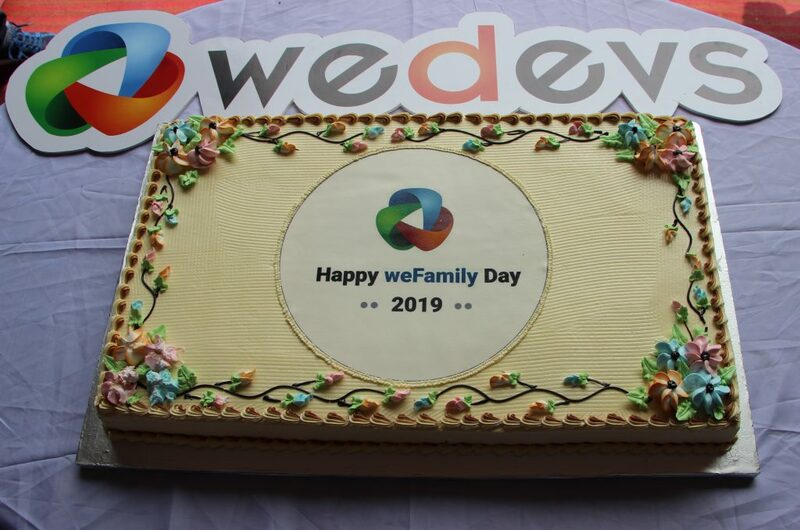 As weDevs was formed in March and we celebrate the anniversary, the ‘weFamily Day' in this month, we think this is a good time for us to spread what we have done so far to the world. That's one of the main reasons of publishing the weDevs year in review now. With all these mentioned, we know we have a long way ahead of us. Here is hoping for the year 2019 to be even better and productive than 2018. And we know that your love and support will guide us through the way just like always. 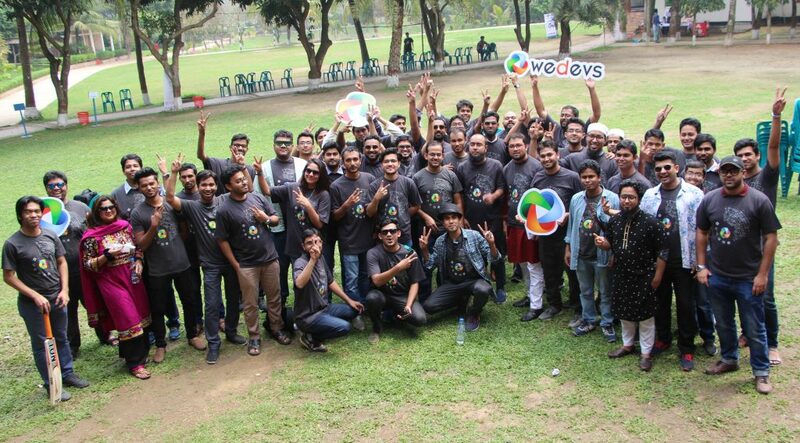 Wishing all of you an awesome year ahead from weDevs teams !! 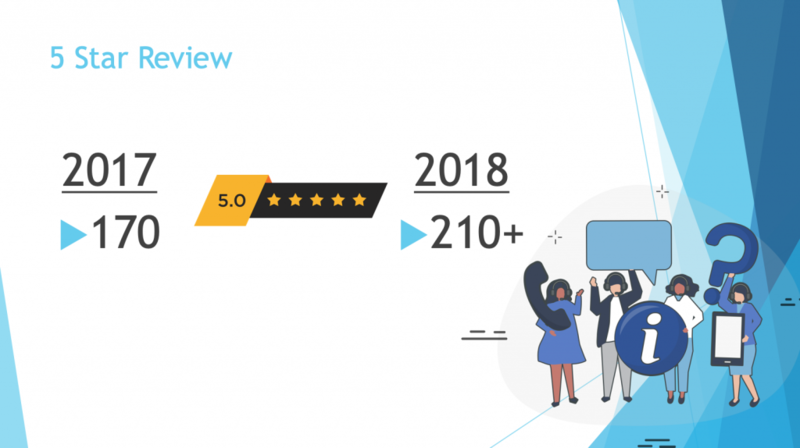 Pingback: WordPress News Hub – weDevs Year in Review 2018: Growth, Customer Happiness & Success!